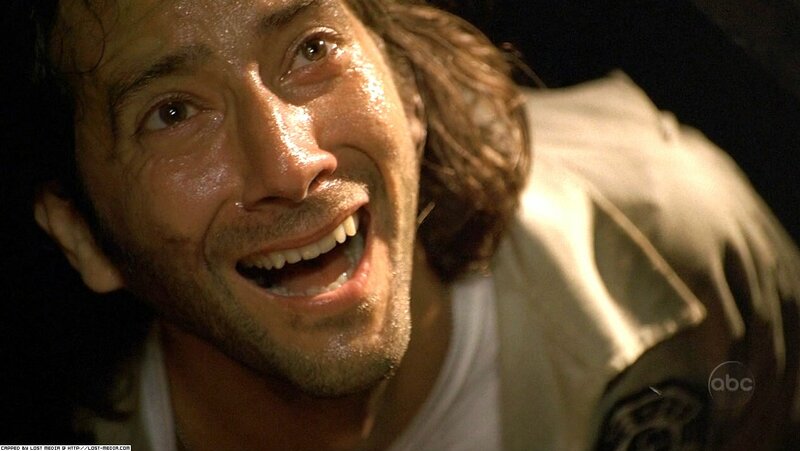 Desmond David Hume was the lone resident of the Swan at the time of Oceanic Flight 815’s crash. Before coming to the Island, Desmond’s life seemed to be defined by failure. He was fired as a monk, sadly broken up with his girlfriend Penny Widmore, dishonorably discharged from the Royal Scots Regiment, and regarded with contempt by Penny’s father Charles Widmore. In an attempt to regain his honor, Desmond entered Charles Widmore’s sailing race around the world and consequently became shipwrecked on the Island. 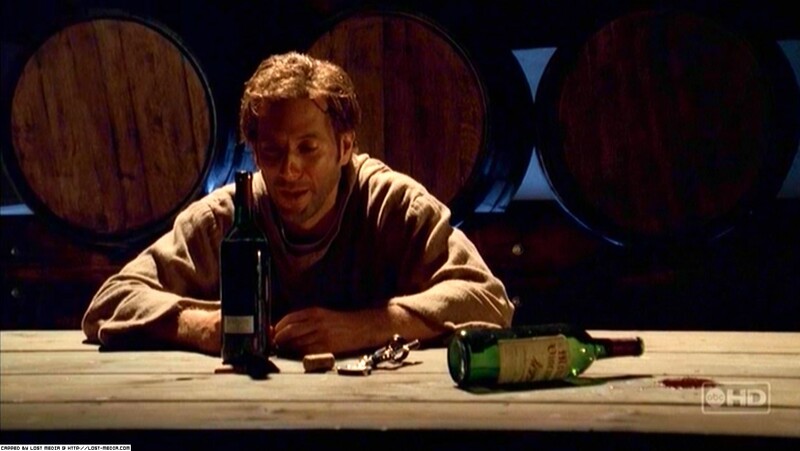 Once marooned on the Island, Desmond was found by Kelvin who recruited Desmond to push the button at the Swan station for three years, until he discovered that Kelvin was secretly planning to escape on Desmond’s boat. 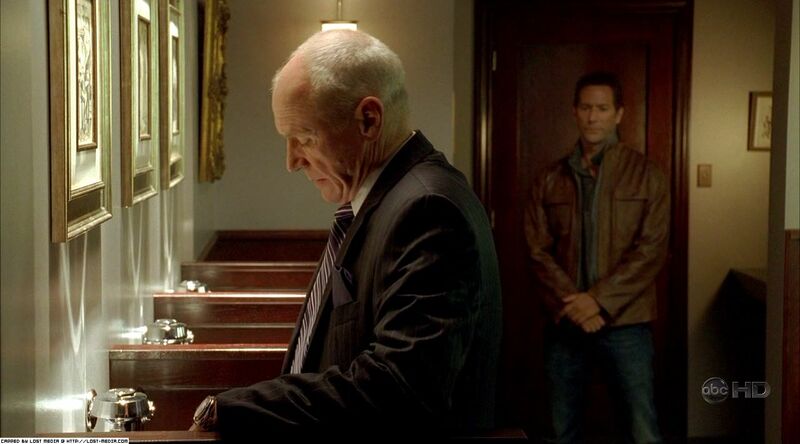 Desmond confronted Kelvin and accidentally killed him by tripping him into a rock. 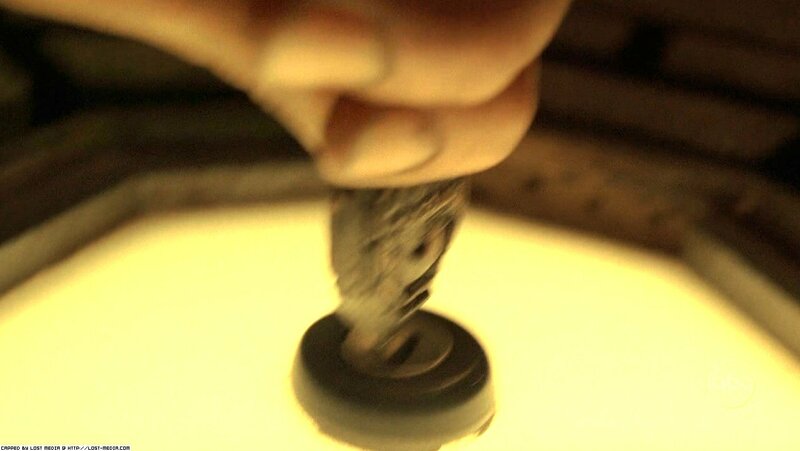 Desmond returned to the Swan but pushed the button too late, initiating the electromagnetic incident which caused the Oceanic 815 crash. He lived alone in the Swan for 44 days until the Oceanic survivors discovered the Hatch. After failing to leave the Island on his sailboat, Desmond joined the Beach camp. 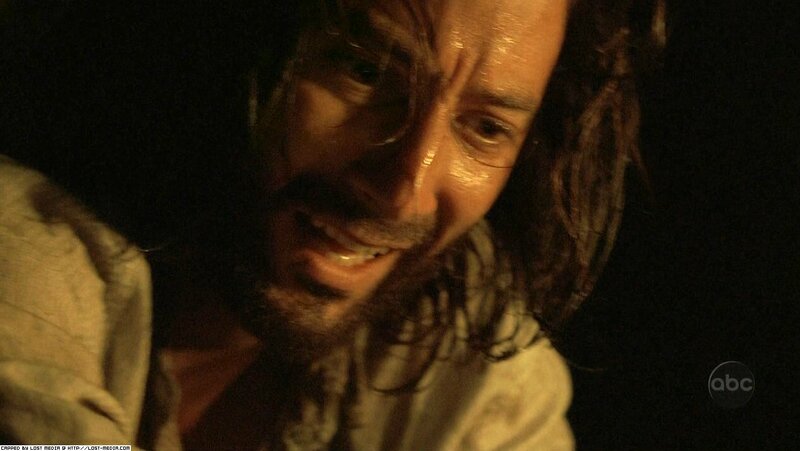 Desmond soon agreed with Locke that nothing would happen if they failed to push the button every 108 minutes, but after realizing his previous failure had caused the crash, Desmond turned the fail-safe key which discharged the energy, showed the Island to the outside world, and imploded the Swan. After the implosion, Desmond gained a mysterious ability to see flashes of other times and timelines. 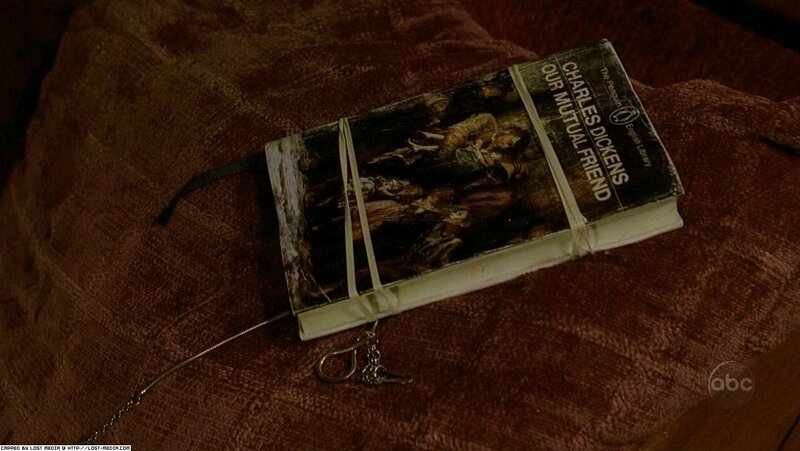 He predicted Charlie’s imminent death and prevented it on many occasions. He later had a vision of a woman parachuting onto the Island, claiming to be working for Penny and revealing her boat was near the Island. 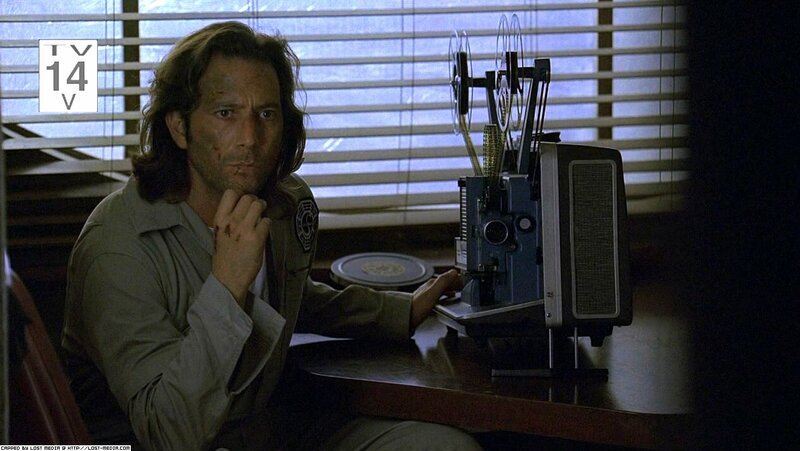 Desmond and Sayid traveled by helicopter to the nearby freighter, during which Desmond’s consciousness from the past (1996) began drifting to the present (2004) until he became anchored by Penny, his constant. 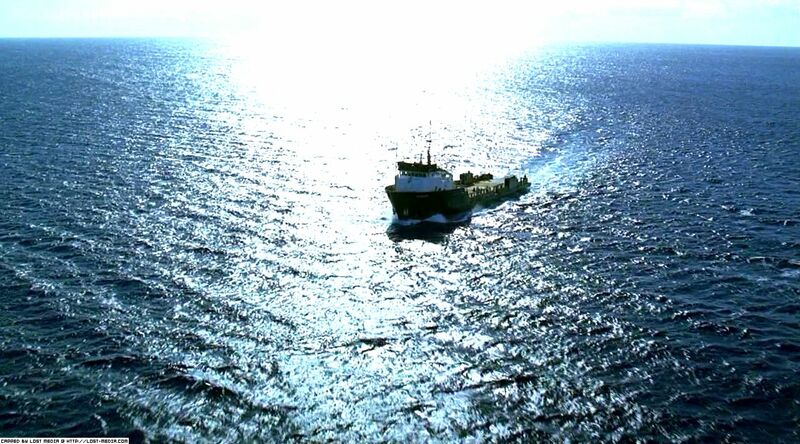 Desmond, along with helicopter pilot Frank Lapidus and the Oceanic 6, escaped the doomed freighter when the Island was moved, and were eventually rescued by Penelope herself. 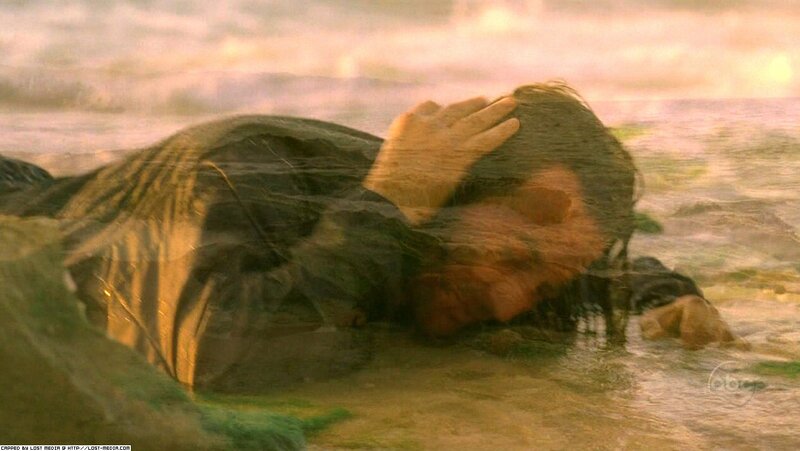 He and Penny went into hiding, had a son, and lived on their boat until Desmond had a vivid dream that he referred to as a “memory” which told him to find Daniel Faraday’s mother in order to help the people left behind on the Island. 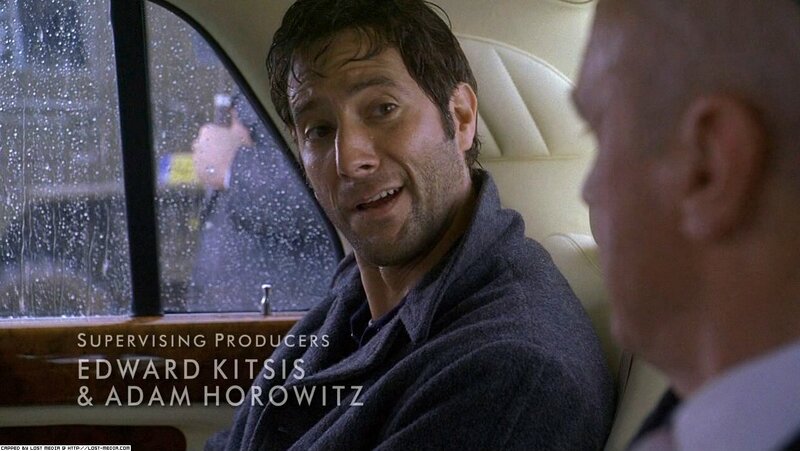 He then seeks out and finds Eloise Hawking, who tells him that the Island is “not done” with him yet, but Desmond is reluctant to return there. 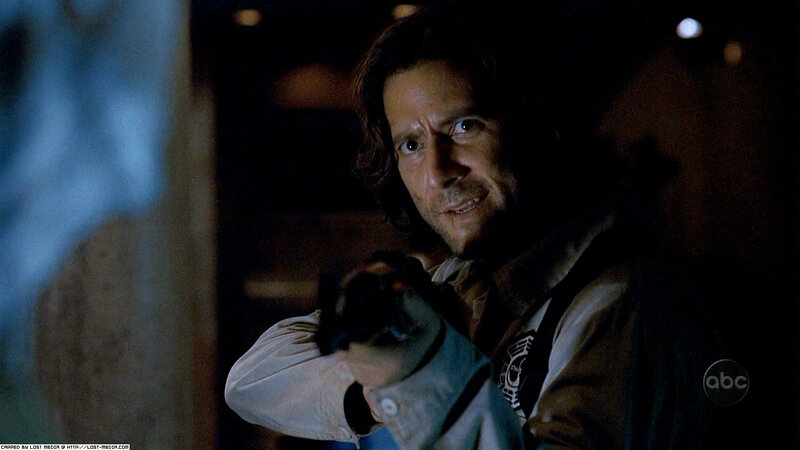 Benjamin Linus found them and tried to shoot Penny, but Desmond defended her and took the bullet. 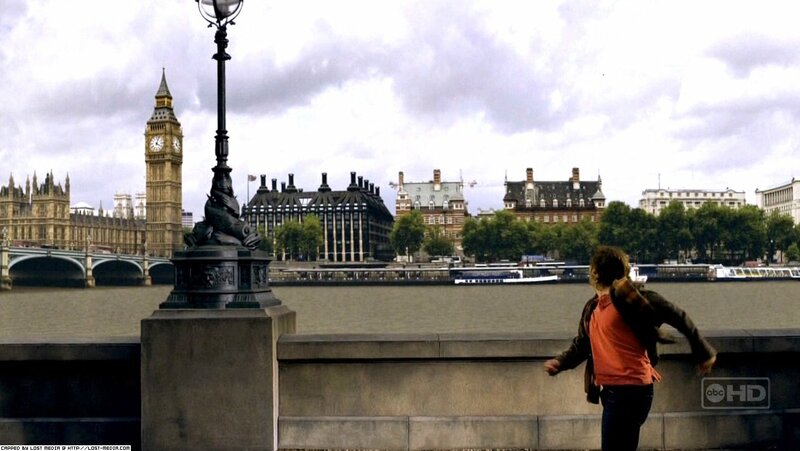 He fell, then got back up and threw Ben into the water. 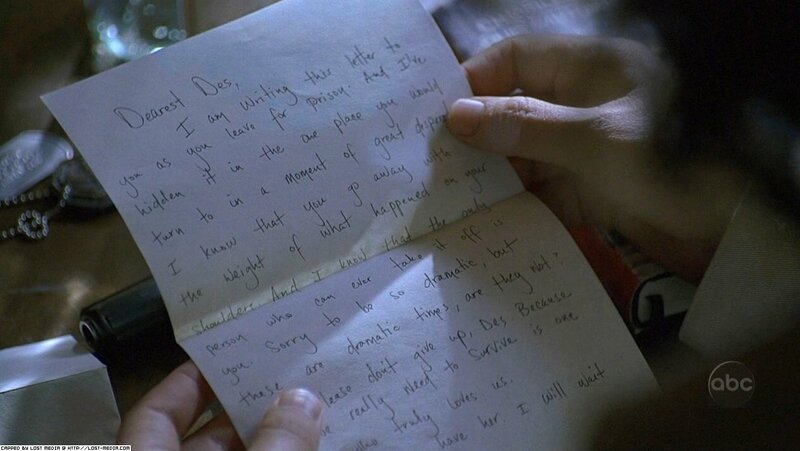 Desmond was taken to a hospital and survived, telling Penny he would never leave her again. 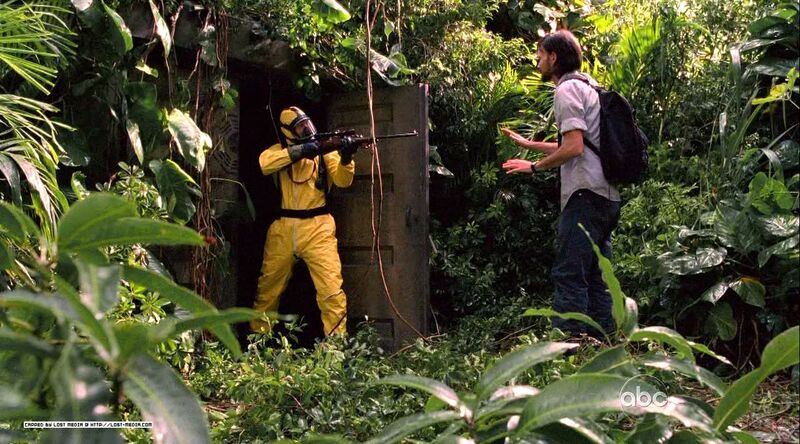 Desmond was then drugged and forcibly taken back to the island by Charles Widmore, who referred to him as “the package”. 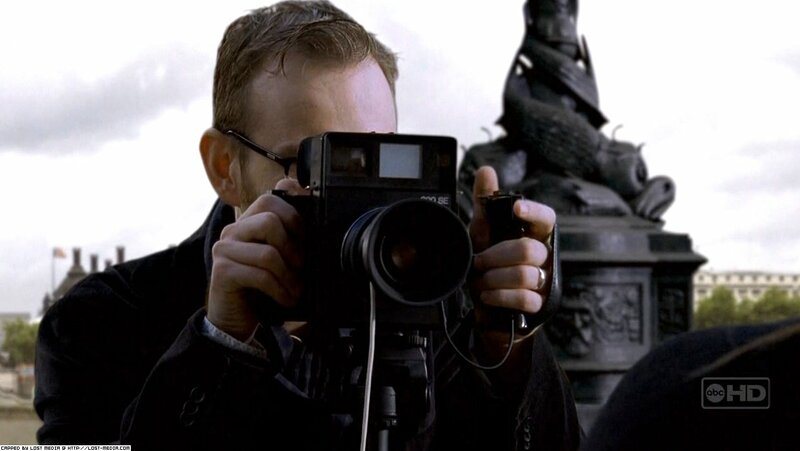 Once there, Widmore’s team performed an experiment on Desmond which gave him knowledge of the flash-sideways timeline. After agreeing to work with Widmore, Desmond met with the Man in Black who threw him into a well. 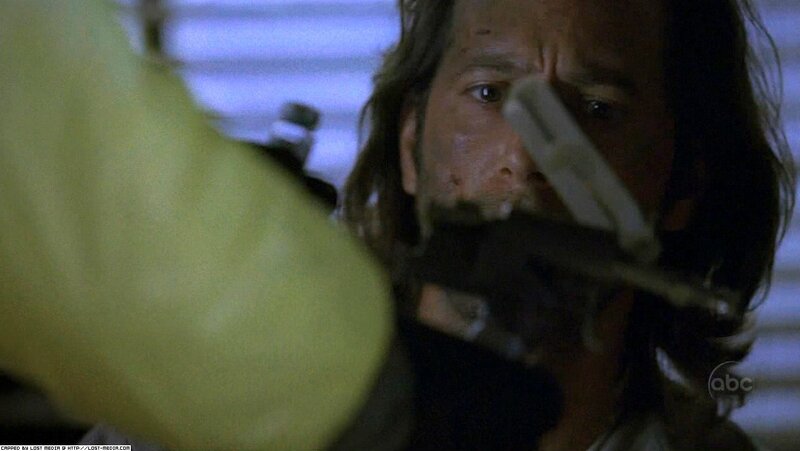 Sayid was later sent by the Man in Black to kill Desmond, but he had a change of heart and let him live. 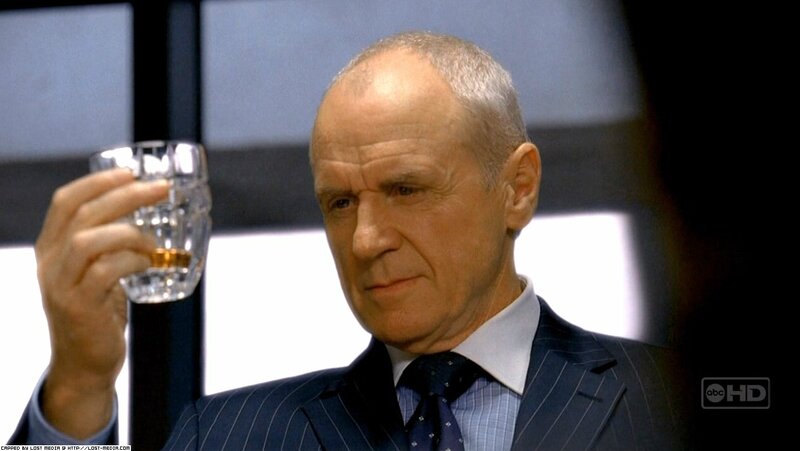 Soon after he was freed by Rose and Bernard, but Locke/the Man in Black soon found them and coerced Desmond into helping him. 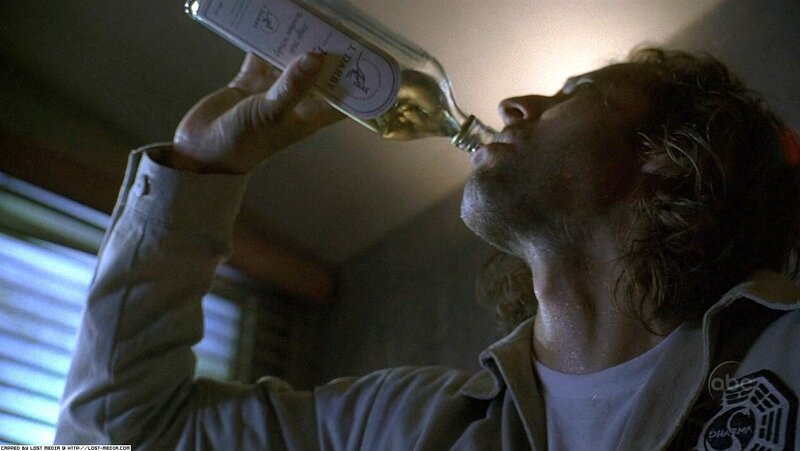 Desmond went to the source with the Jack and Man in Black in order to release the energy within. 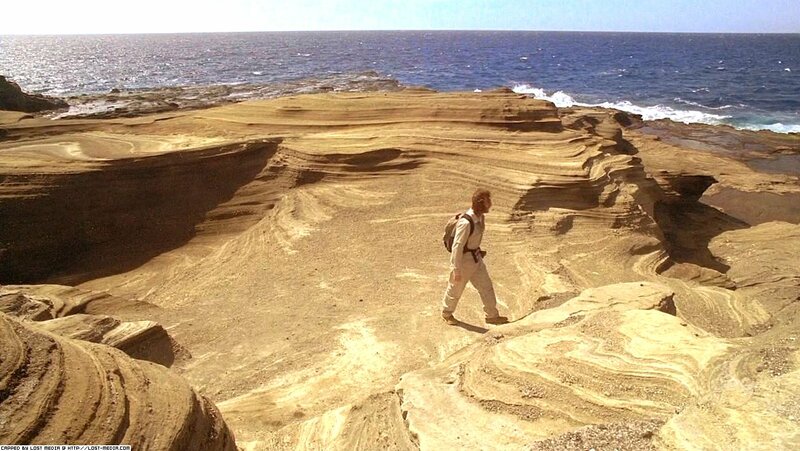 He removed a large stone cork , draining the water from the Source’s pool, thereby disempowering Jack, Locke, and the Island itself. 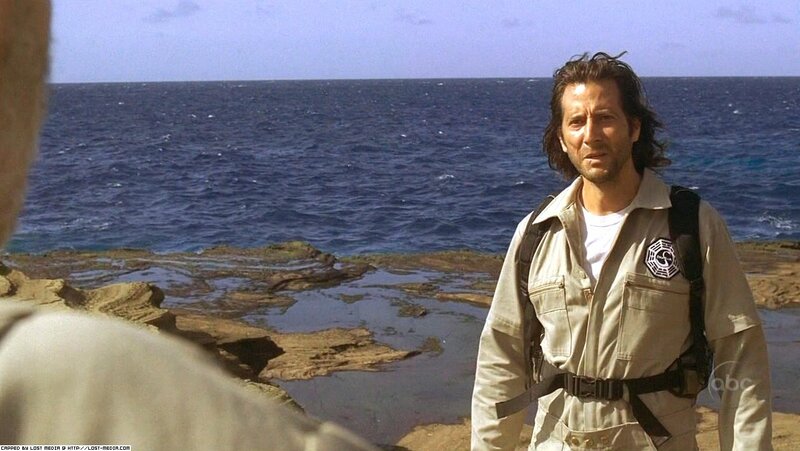 After the stone was restored, Desmond was presumably taken home by Hurley, the Island’s new protector. 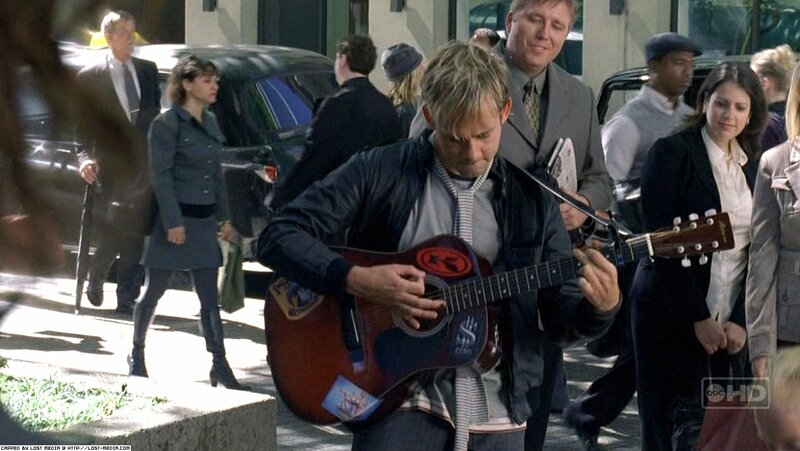 In the flash-sideways timeline, Desmond was the first to remember his previous life and he embarked on a mission to help everyone else remember. Later, once they had all remembered and became aware that they had died, the entire group “moved on” in a church. Ruth’s brother Derek tracked Desmond down at the monastery and punched him, leading Desmond to seek out closure with Ruth. 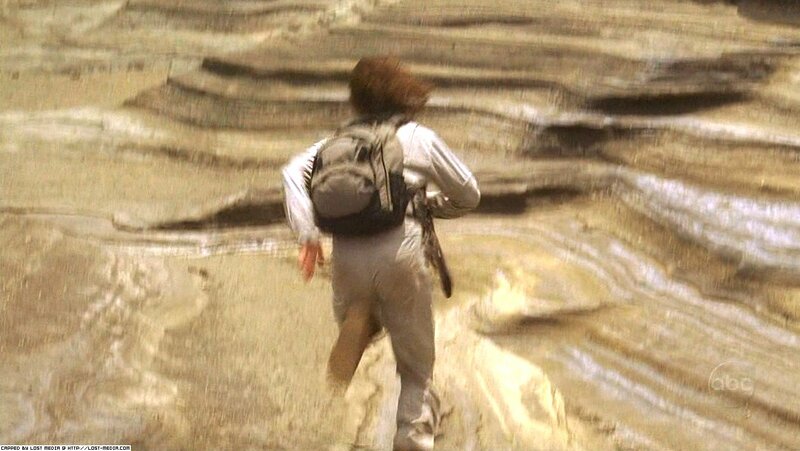 Ruth didn’t buy Desmond’s claims of a spiritual experience and told him he was just running away because he was scared. 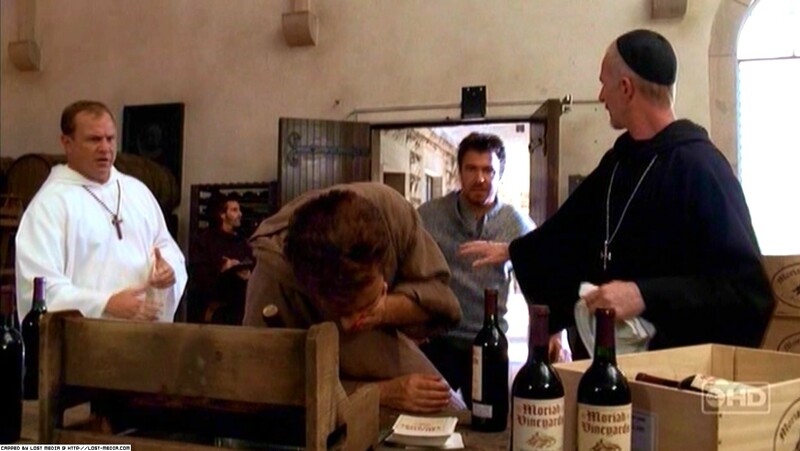 After this rebuke, Brother Campbell found Desmond drinking the wine that the monastery vineyards produced. He told Desmond that he did not think that he should be a monk, and obviously was meant for a greater purpose. Desmond and Penny quickly fell deeply in love. Desmond dated her for two years prior to meeting her father, who was apparently unaware of their relationship. Eventually, Penelope moved into Desmond’s flat (he being too proud to move into hers). 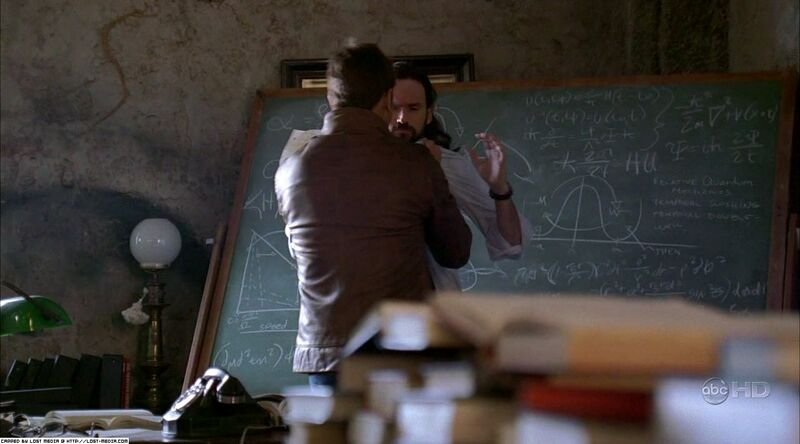 During this period, Desmond’s “best mate” was a physics professor named Donovan. 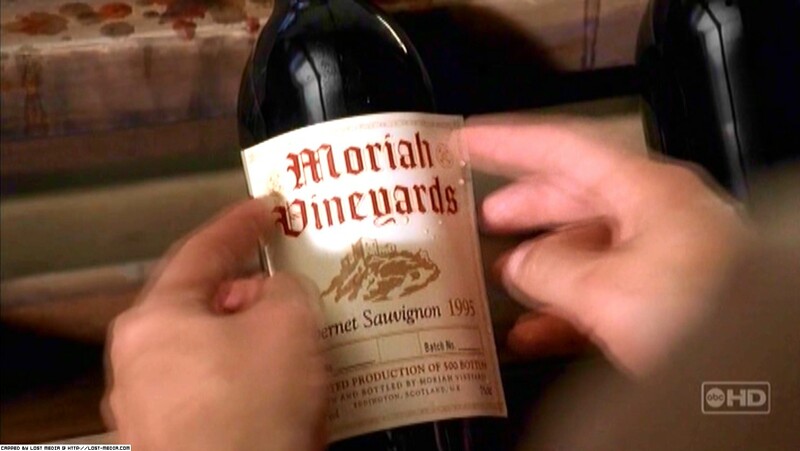 One day, in late 1995 or 1996, Desmond was drinking while painting his flat. 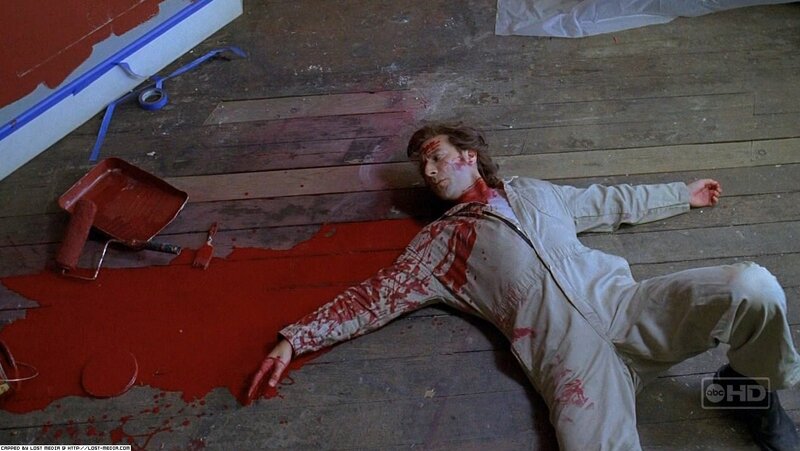 He fell off of the ladder hitting his head on the floor, and was splayed out in the red paint which pooled underneath him and splattered on the walls. 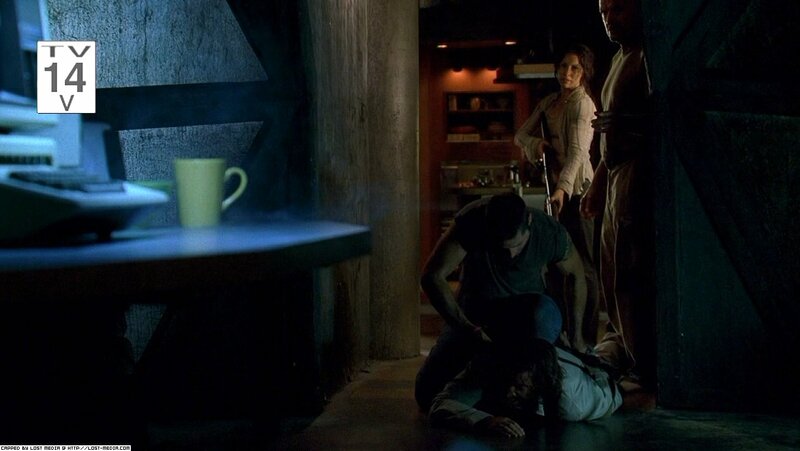 Just after, Penny came home and seeing him on the floor went to help him. Soon after this, he told her that he would go to her father’s industry to ask him for a job. Later that day, he went to Widmore’s office and after a brief discussion was eventually offered a job. 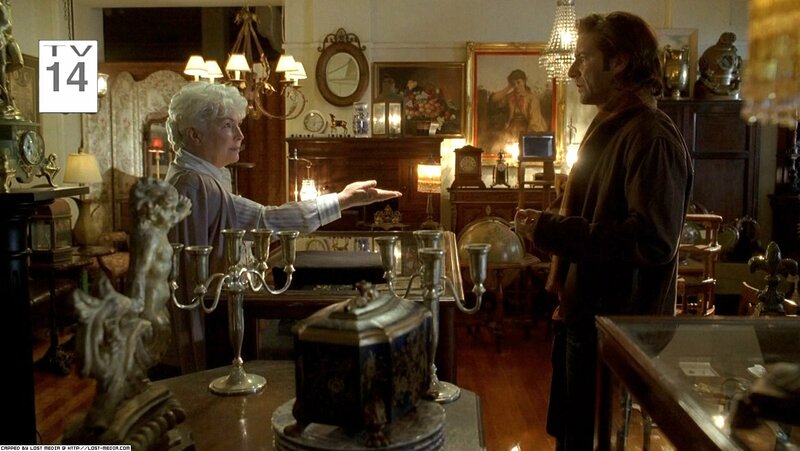 However, Desmond replied that he was not there for a job but to ask for Penelope’s hand in marriage. Widmore expressed his unfavorable opinion of Desmond, saying that he was worth less than a shot of MacCutcheon whiskey. He came out of the building angry, and tossed his tie to the ground. 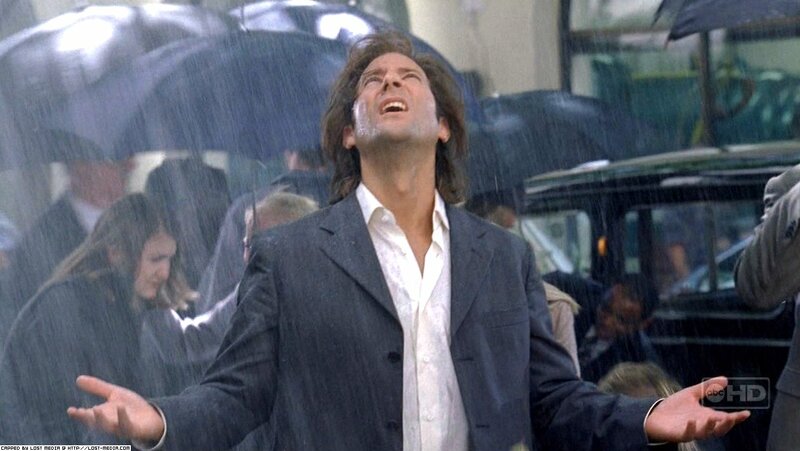 As he passed by a singing Charlie Pace it started to rain, and when he met with Penelope, he told her that he was angry because of how Widmore treated him, also telling her he’d lost his tie. 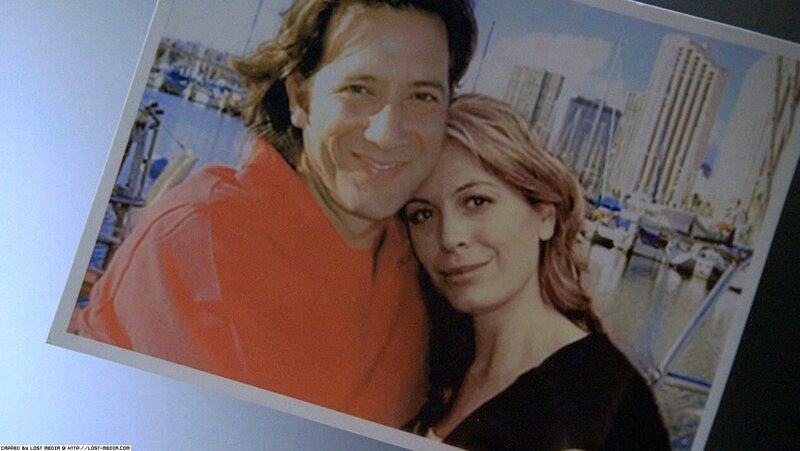 However, when Desmond noticed that he couldn’t pay for even one photograph, he said to Penelope that he couldn’t be with her. Penelope left crying, and their relationship ended. 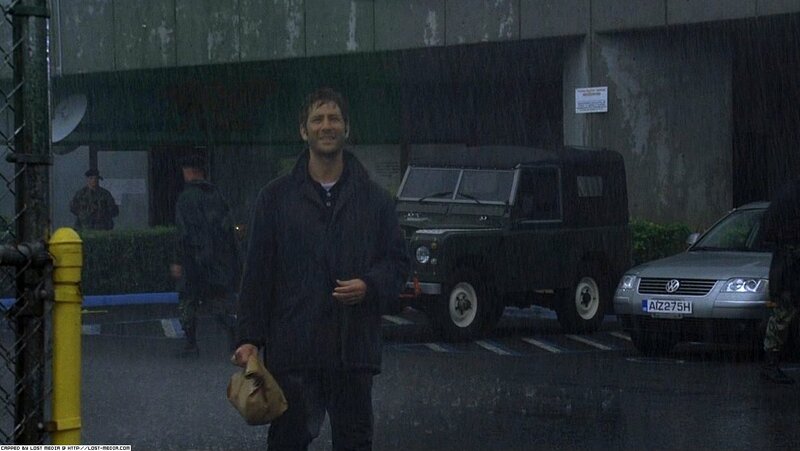 During his recruit course in 1996 at Camp Millar (north of Glasgow, Scotland), Desmond woke up from what he thought was a dream, in which he was in a helicopter in a storm. 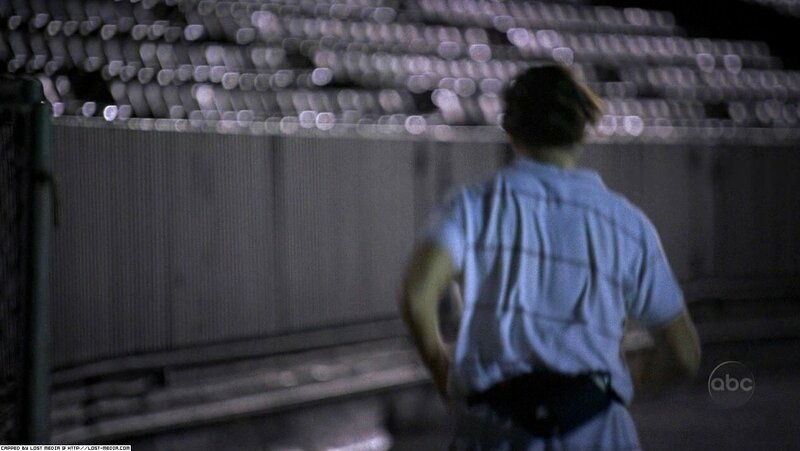 In reality, his consciousness was time traveling to December 24, 2004. Desmond continued to uncontrollably leap back and forth between 1996 and 2004. 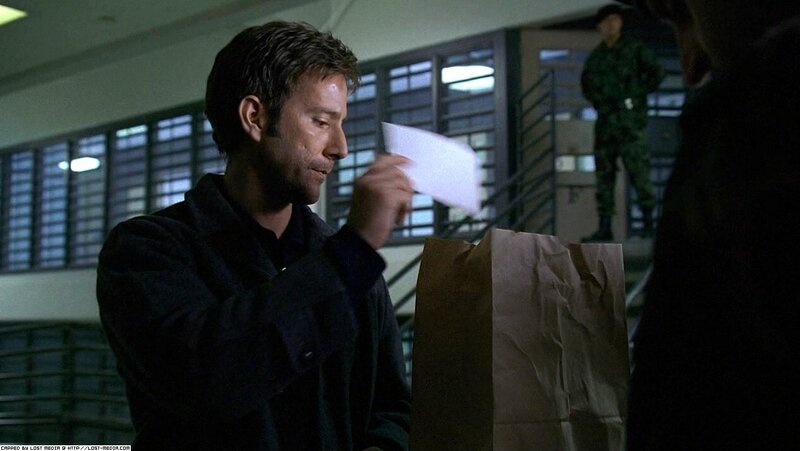 Confused when in the future, 1996-Desmond received instructions from the 2004-Daniel Faraday to meet him at The Queen’s College Department of Physics in Oxford in 1996. 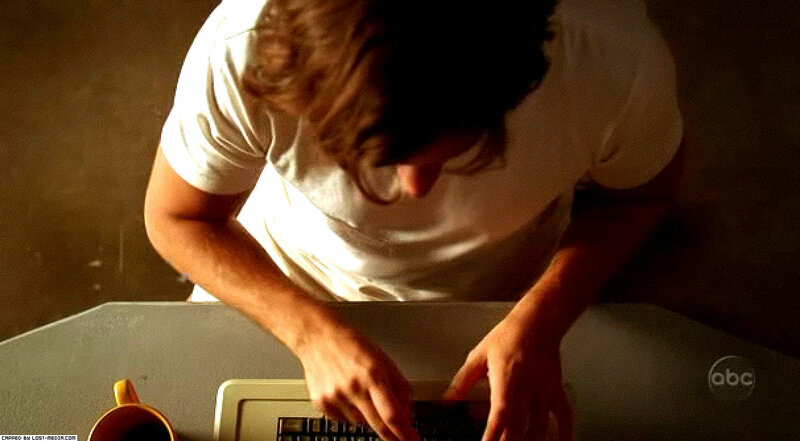 After Desmond convinced Daniel that he had been to the future, 1996-Daniel Faraday explained that unless Desmond found a “constant,” something familiar and meaningful in both time periods, he (Desmond) would likely have a brain aneurysm and die. Desmond decided that Penny would be his constant. Outside the Garrison, Charles Widmore waited for Desmond’s release. 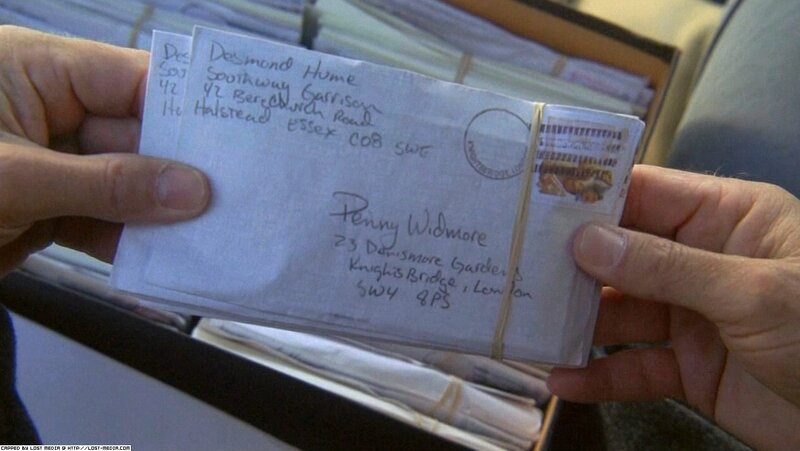 Widmore revealed that he had intercepted all of the letters Desmond had sent to Penelope from prison. Widmore then attempted to bribe Desmond into keeping away from his daughter. Widmore felt certain Desmond would agree to the arrangement, since he believed Desmond to be a coward. Desmond, however, declined, and entered himself in a world sailing race sponsored by Widmore in order to prove his worth. Desmond then traveled to America, where the race was set to begin. He arrived, however, short of money and a sailboat. Desmond met Libby Smith in a café, where she insisted on buying him coffee. 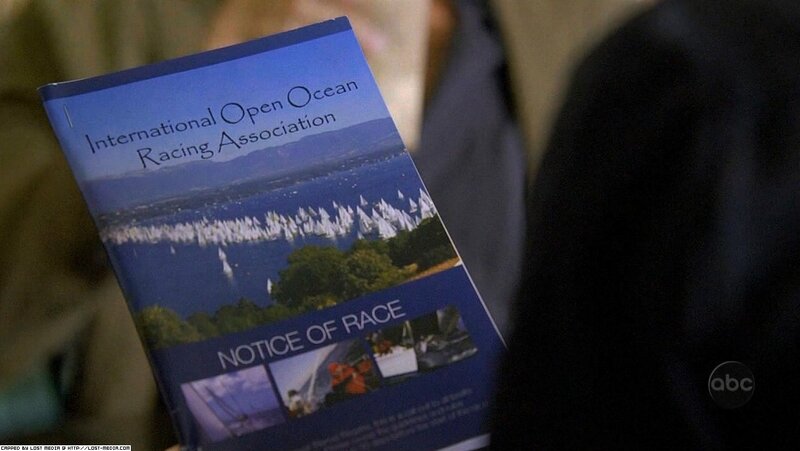 During their conversation, Desmond confided in her his shortcomings for joining the race. Libby then surprisingly revealed her ownership of a boat, the Elizabeth, which had belonged to her late husband David. 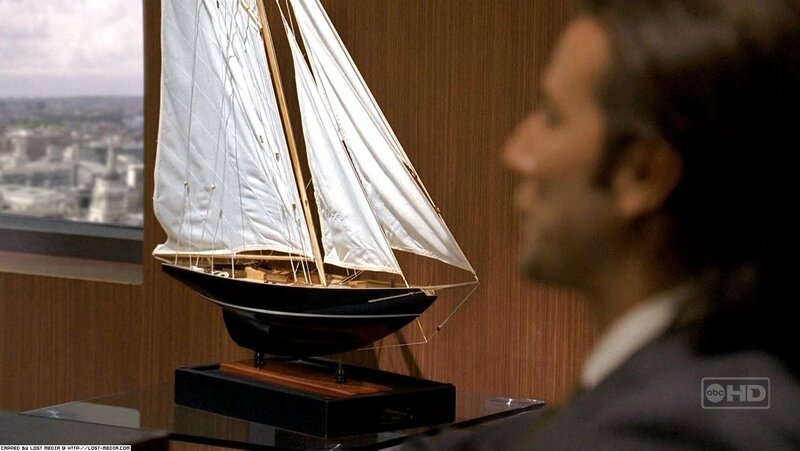 Upon her insistence, Desmond eventually accepted Libby’s offer of the boat, promising to win the race “for love”. 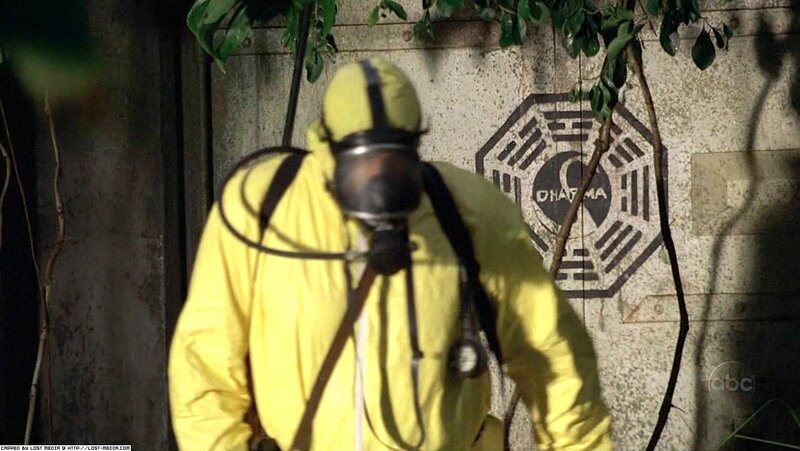 The half-conscious Desmond was dragged from the beach into the Swan, by a man in a biohazard suit who later identified himself as Kelvin Inman. 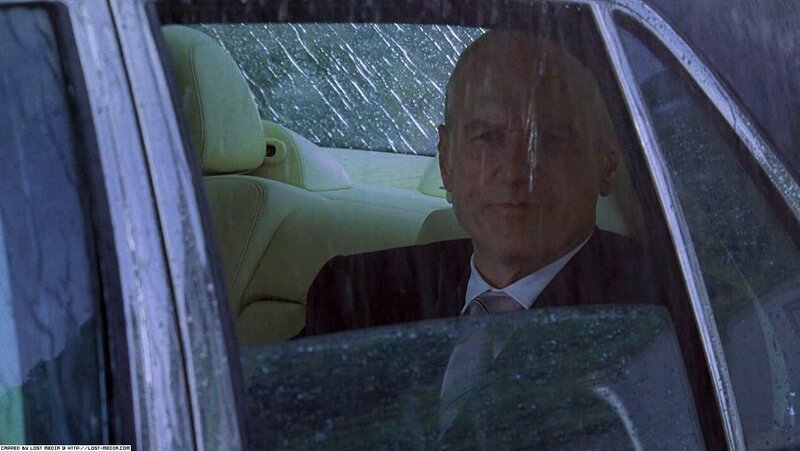 Inside the Swan, Kelvin tells Desmond that the outside environment is contaminated by a mysterious sickness, to which Desmond may have been exposed. 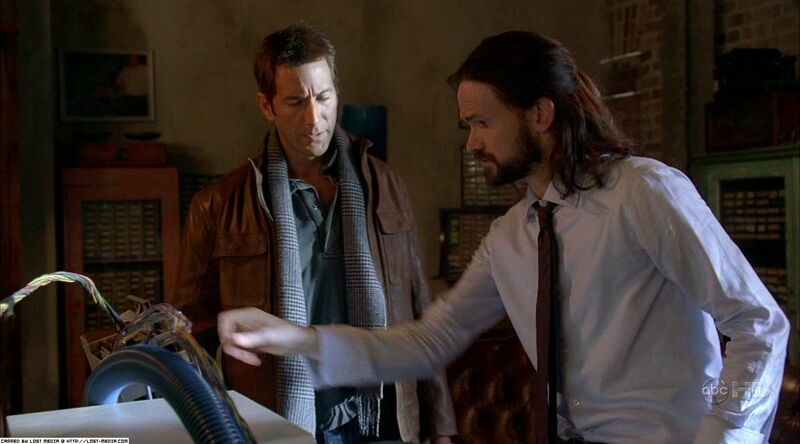 After two years, Kelvin showed Desmond how to initiate the lockdown sequence, which Kelvin used to complete the invisible blast door map started by his previous Swan partner, Radzinsky. 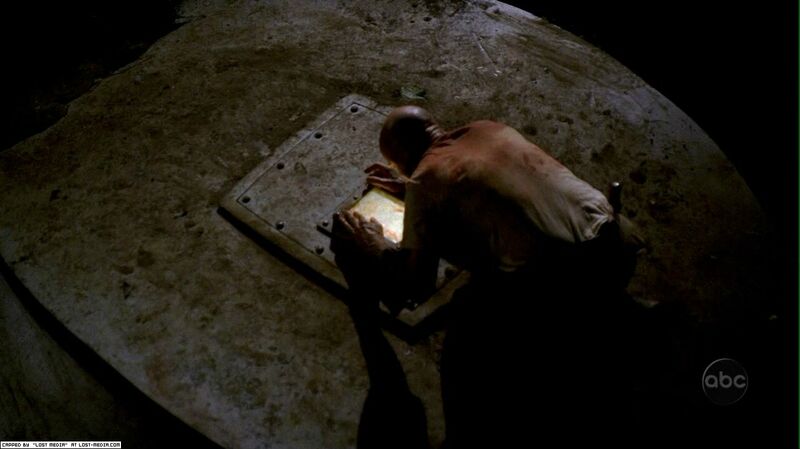 One night later, while drunk underneath the Swan’s computer room, Kelvin revealed to Desmond the nature of the Incident, and the function of the fail-safe key, which he carried at all times but was never able to find the courage to use. 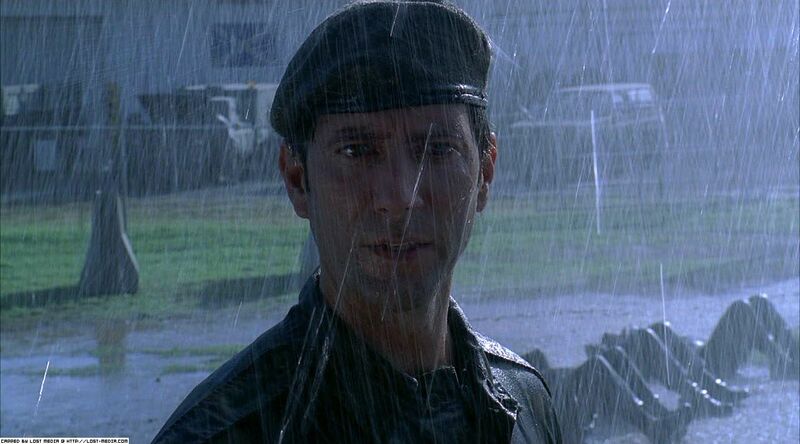 Kelvin never allowed Desmond to take a turn analyzing the environment. 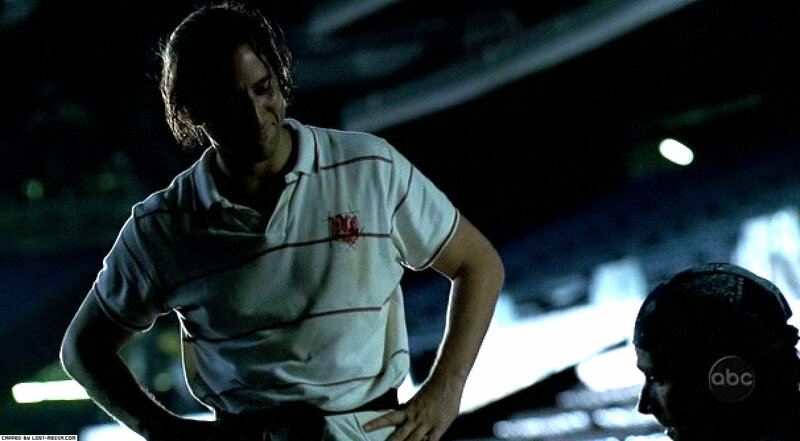 However, on the day of Flight 815’s crash, Desmond noticed that Kelvin’s suit was ripped, yet he continued his trips, leading Desmond to wonder if the sickness was a lie Kelvin made up to keep him in the hatch entering the numbers. 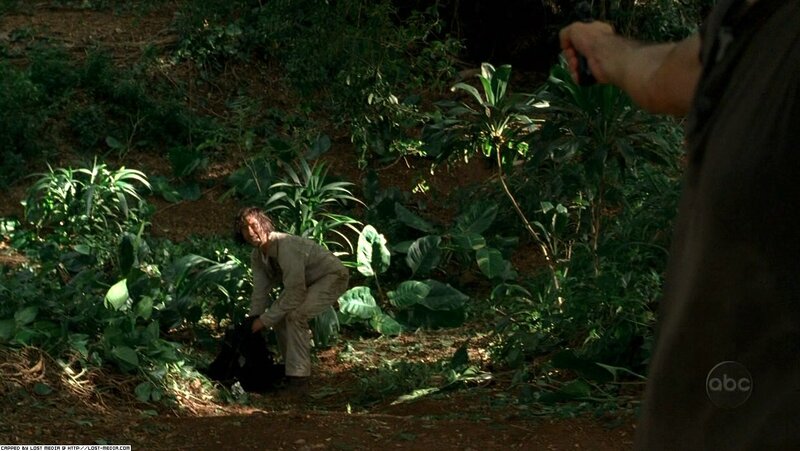 Desmond had his first adventure in the jungle when he subsequently followed Kelvin. 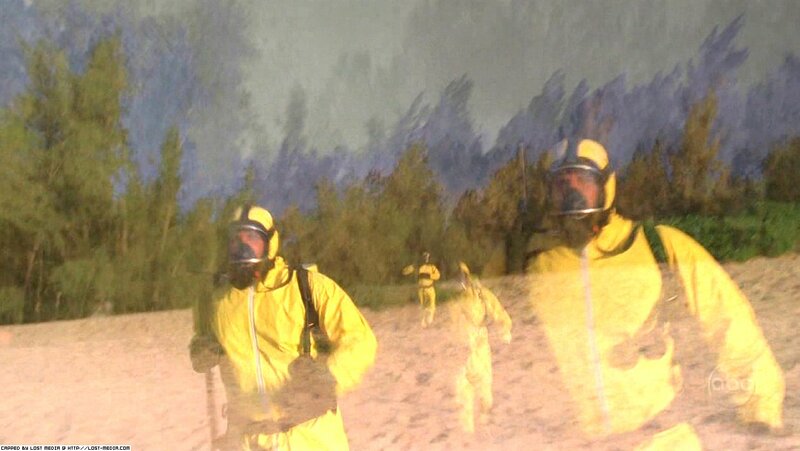 Desmond saw Kelvin taking off the biohazard suit before marching toward the cove. 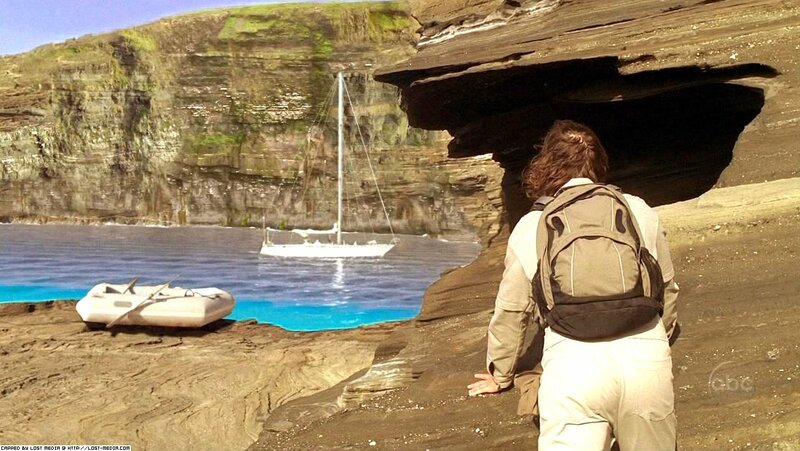 At the cove, Desmond found his sailboat, apparently repaired by Kelvin, with which Kelvin seemed to be plotting his escape from the Island. 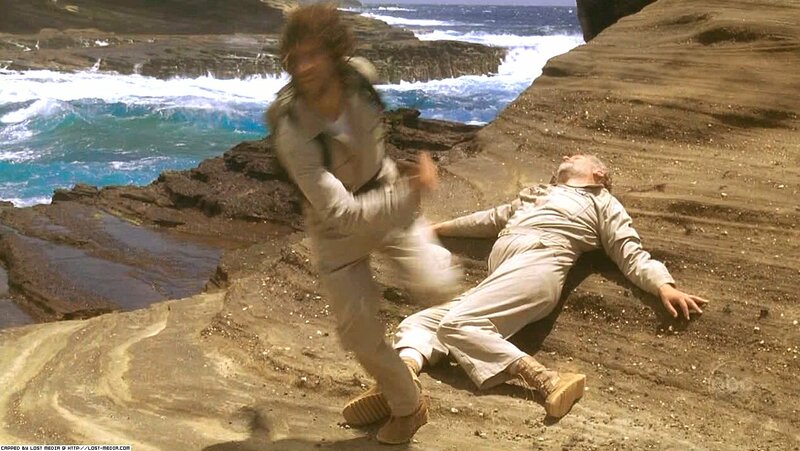 Desmond confronted Kelvin, after realizing the charade to which he was subjected, and in the struggle that followed, he accidentally slammed Kelvin’s head against a rock, resulting in Kelvin’s immediate death. 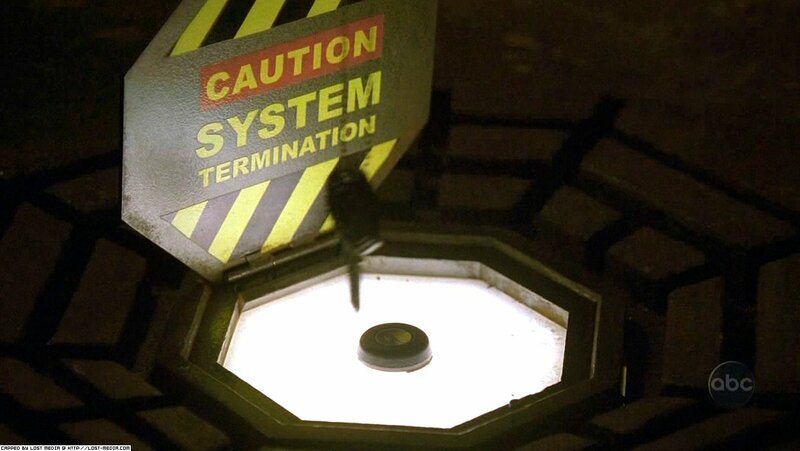 After grabbing Kelvin’s fail-safe key, Desmond ran back to the Swan, where he found the countdown timer had reached zero, and system failure messages were flowing across the computer screen. 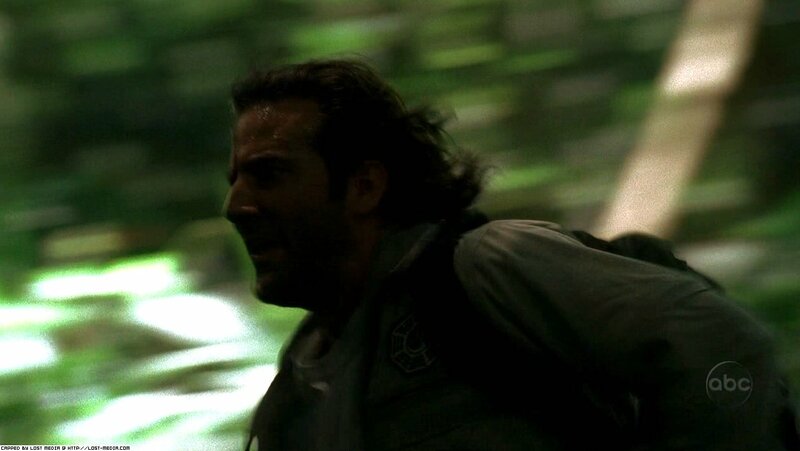 Desmond eventually managed to stop the system failure, although, unbeknown to him, his actions inadvertently released the electromagnetic charge that had built up during his absence from the Swan, which caused Oceanic Flight 815 to break up in mid-air and crash on the Island. 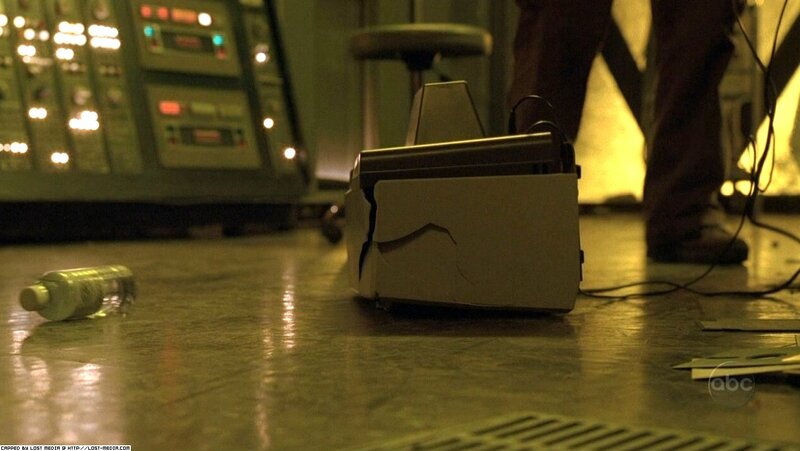 With Kelvin dead, Desmond was now on his own, and he spent the next 40 days in the Swan in complete solitude, carrying on the duty of pushing the button all by himself. In a moment of despair, Desmond contemplated ending his life. 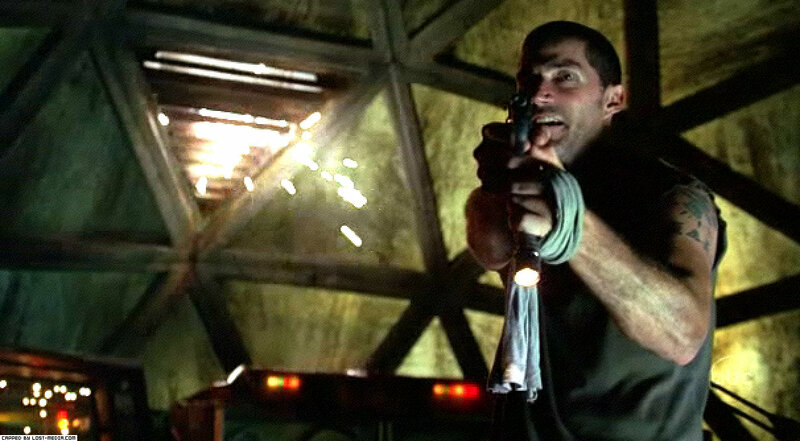 However, this gave Kate a chance to escape through the ventilation system, to later intervene with Desmond’s holding of Locke, and Jack who joined them, and consequently resulting in Desmond’s accidental shooting of the Swan’s computer. 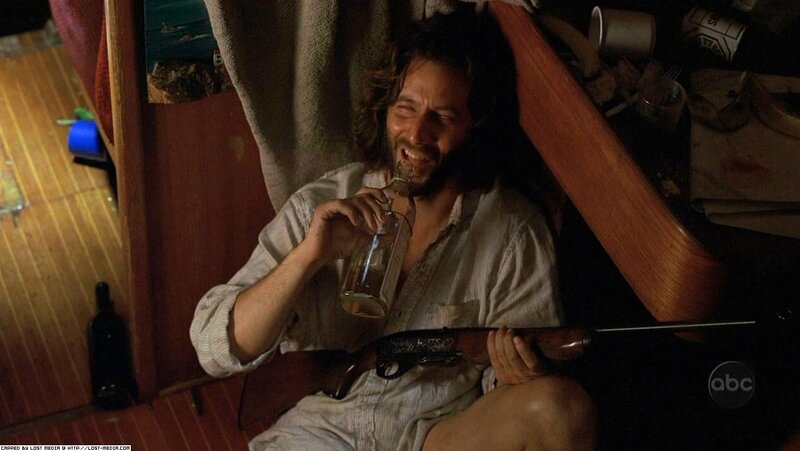 Desmond apparently set off on the sailboat in an attempt to escape the Island. 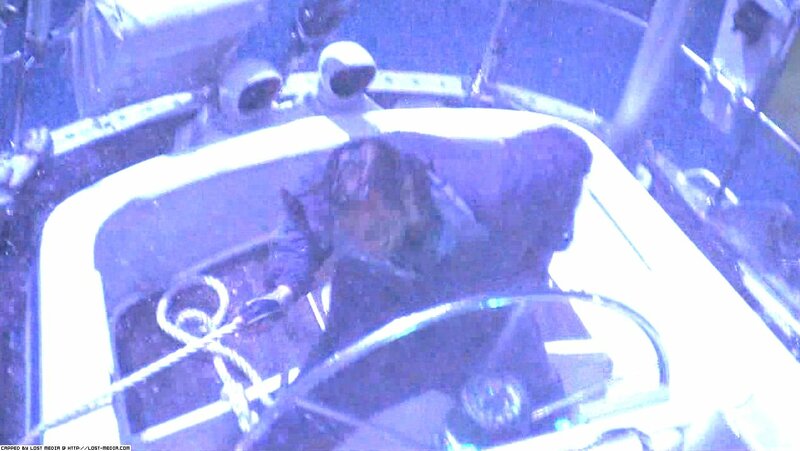 His attempt, however, was unsuccessful, and after two weeks the boat sailed back toward the Island. 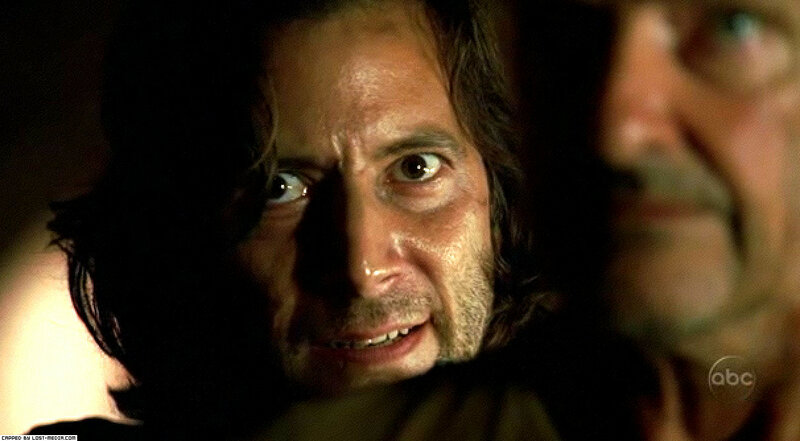 When the boat emerged to the survivors, Jack, Sayid and Sawyer swam to it, only to find Desmond inside, who by then believed the Island to be the last thing left from a long-lost world. 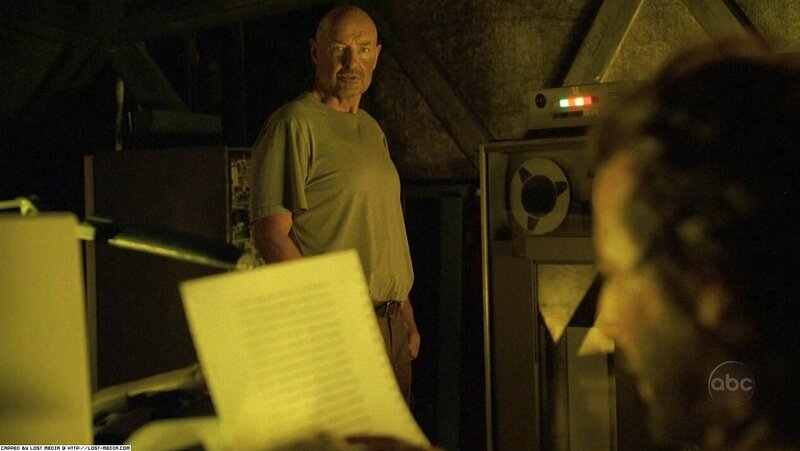 However, in their ensuing conversation, Desmond learned from Locke the truth about the pounding he heard earlier on the Hatch door, and about the Pearl’s log printout as well. 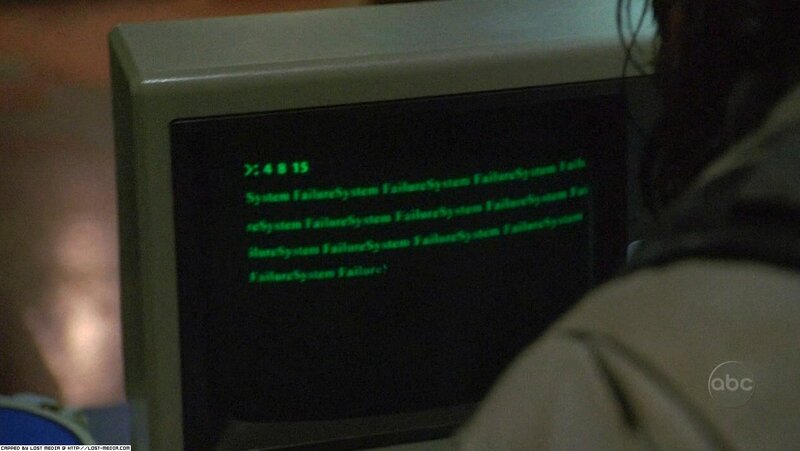 After reading the log, Desmond then connected the date of the plane crash to the earlier system failure he witnessed, leading him to conclude that he may have unintentionally caused the crash. 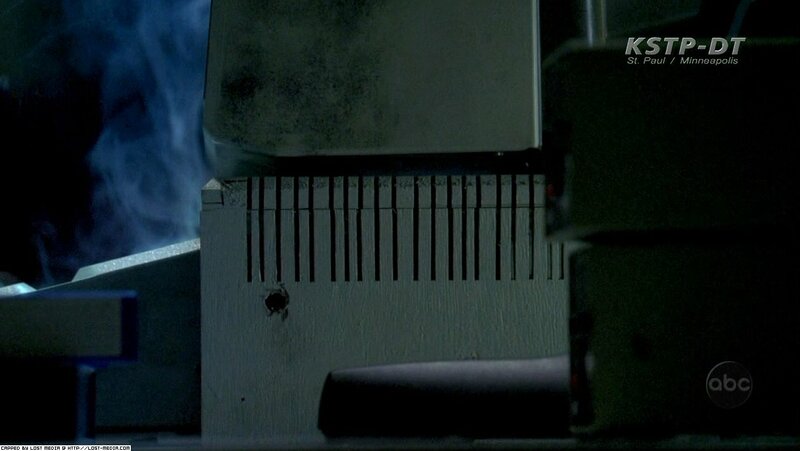 Desmond then decided that the button must be pushed, but Locke, however, intervened and destroyed the computer. 2x01 "Man Of Science, Man Of Faith"
2x23-24 "Live Together, Die Alone"
3x08 "Flashes Before Your Eyes"
Not to be confused with Hapy, the God of the Nile’s annual flood (Hapy), nor with the God more commonly known as Apis, but rather one of the four ‘sons of Horus’. Hapy’s name has been interpreted as “runner”—see, in this respect, CT spell 521: “I am Hapy, and I have come to you [the deceased]. My father Horus said to me: Run after my father Osiris and open his mouth,” i.e., restore his power to breathe. 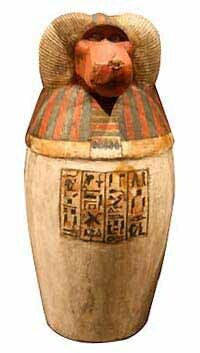 Hapy is depicted as a baboon-headed mummy on the jar containing the lungs of the deceased, and in the assignment of the sons of Horus to the cardinal points Hapy is at the north. 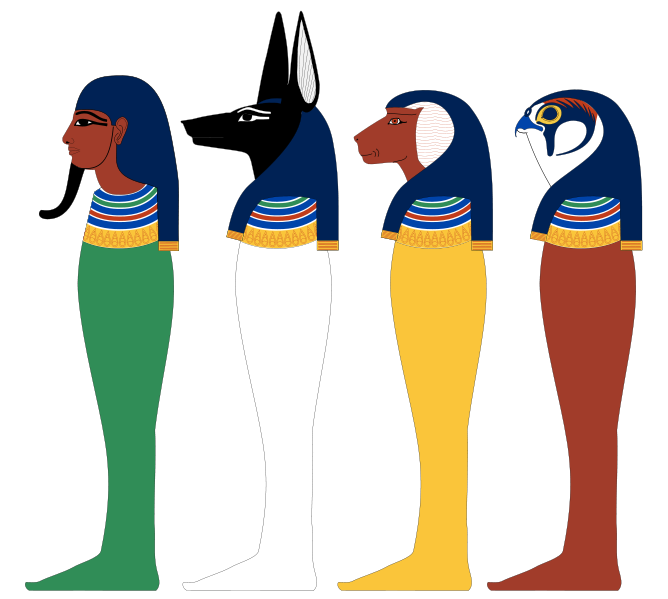 Together with Horus and Imsety, Hapy is said in CT spell 157/BD spell 112 to be among the “Souls [Bau] of Pe,” a district of the town of Buto in Lower Egypt. Hapi is one of the Four sons of Horus in ancient Egyptian religion, depicted in funerary literature as protecting the throne of Osiris in the Underworld. He is commonly depicted with the head of a hamadryas baboon, and is tasked with protecting the lungs of the deceased, hence the common depiction of a hamadryas baboon head sculpted as the lid of the canopic jar that held the lungs. Hapi is in turn protected by the goddess Nephthys. When his image appears on the side of a coffin, he is usually aligned with the side intended to face north. When embalming practices changed during the Third Intermediate Period and the mummified organs were placed back inside the body, an amulet of Hapi would be included in the body cavity. The spelling of his name includes a hieroglyph which is thought to be connected with steering a boat, although its exact nature is not known. 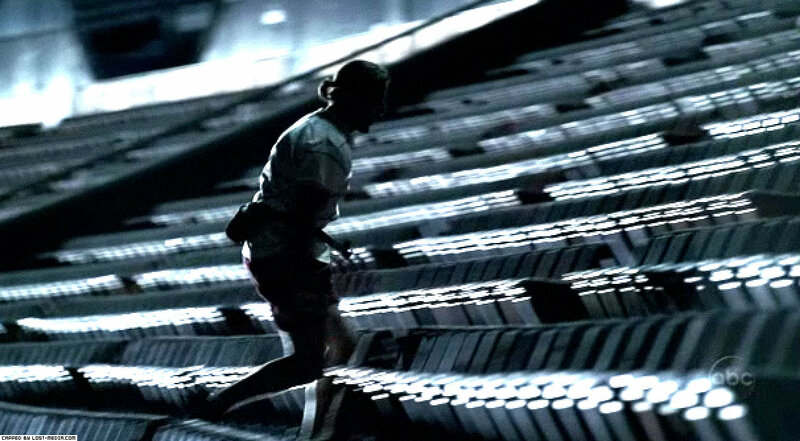 For this reason he was sometimes connected with navigation, although early references call him the great runner, as below from Spell 521 of the Coffin Texts. As one of the four pillars of Shu and one of the four rudders of heaven he was associated with the North, and is specifically referenced as such in Spell 148 in the Book of the Dead. Hapy is the God of the Nile, or, more strictly, of the Nile’s annual flood or inundation, which was responsible for Egypt’s agricultural productivity. Not to be confused with the son of Horus with the same name (Hapi). Hapy is depicted anthropomorphically, with blue skin or other color symbolic of the Nile, with drooping male breasts and sometimes a pot belly, wearing a skimpy loincloth, generally with a clump of papyrus reeds on his head and often carrying bundles of papyrus and lotus or trays piled with offerings, representing the bounty of the Nile. Sometimes representations of Hapy bear the facial features of the reigning monarch, identifying the monarch as the source of the land’s prosperity, not merely through the performance of his ritual duties, but also through his just governance. 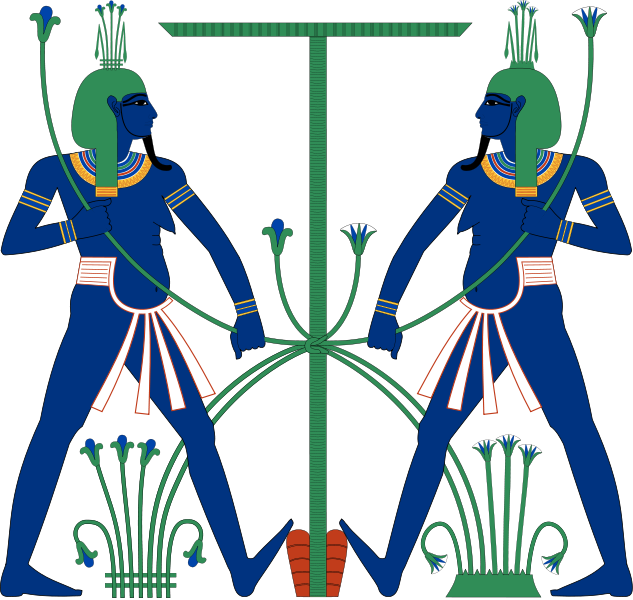 Sometimes Hapy appears doubled, wearing the heraldic papyrus of Lower Egypt and sedge of Upper Egypt and tying these two plants together around the hieroglyph for ‘union’ to symbolize the role of the Nile in uniting Egypt’s north and south. The Nile’s inundation was attributed to a quantity of water being released, at divine behest, from twin subterranean caverns in the vicinity of Elephantine (although these caverns, like the exact moment at which the inundation shall commence, are paradigmatic in Egyptian thought for that which is secret); hence, in the Great Hymn to the Aten, the Hapy of Egypt, who emerges from the underworld, is contrasted with the “Hapy from heaven for foreign peoples,” that is, the rain upon which Egypt’s neighbors depended for their agricultural production (Lichtheim vol. 2, p. 99). Reference is also made to ‘Hapy of the Sky’ as maker of rain in a spell for water in the Book of the Dead (60). Hapy’s emergence from these subterranean caverns is the source of Hapy’s affirmation, in CT spell 318, that he fashioned the netherworld himself. In these caverns Hapy slumbers during the off-season, rejuvenating himself: “It is the house of sleep of Hapy, he grows young in it in his time,” (Lichtheim vol. 3, p. 97). Hapy’s flooding of the fields, which are personified as the Goddess Sekhet, is envisioned sexually: “Bounding up he [Hapy] copulates, as man copulates with woman, renewing his manhood with joy,” (the ‘Famine Stela’, in Lichtheim vol. 3, p. 97). The extent of the inundation, whether adequate, insufficient, or excessive, symbolized in Egyptian thought the very concept of the limit or boundary and of the limits placed upon human life by such inscrutable phenomena as the variability in the inundation; hence in the ‘Instruction of Ankhsheshonq’, it is said that “When Hapy comes he sets limits for everyone,” (Lichtheim vol. 3, p. 173) and by the same token “One sets no limits for him,” (‘Hymn to Hapy’, in Lichtheim vol. 1, p. 207). Every year, it is said that Khnum fashions Hapy anew, that is, the ‘body’ of the inundation is a different one each time, both regular and variable, comparable and incommensurable because it is only the present inundation which truly matters to the people and other animals who depend upon it. Inevitably, the quantity of the inundation was taken as an index of the virtue present in the population and in the government: “When free men are given land, they work for you like a single team; no rebel will arise among them, and Hapy will not fail to come,” (‘The Instruction Addressed to King Merikare’, in Lichtheim vol. 1, p. 103). Since all the produce which goes to the Gods as offerings depends upon Hapy, it can be said that he “gives sacrifice for every God,” (‘Hymn to Hapy’, in Lichtheim vol. 1, p. 206) or even that he has “made the Gods … all the Gods live according to <his> decree,” (CT spell 321). Furthermore, since books are written on papyrus “all books of godly words … exist through him” (ibid., p. 207). In spell 317 of the Coffin Texts, a ‘transformation’ spell which allows one to become Hapy, Hapy is said to be older than the primeval Gods of the Hermopolitan Ogdoad, and perhaps in connection with this reference is made here to eight Hapys. In CT spell 320 Hapy affirms that he is “in charge of births,” because of his general function of providing sustenance and/or because of an analogy between the Nile’s inundation and the waters of birth. Odysseus or Ulysses was a legendary Greek king of Ithaca and the hero of Homer’s epic poem the Odyssey. Odysseus also plays a key role in Homer’s Iliad and other works in the Epic Cycle. King of Ithaca, husband of Penelope, father of Telemachus, and son of Laërtes and Anticlea, Odysseus is renowned for his guile and resourcefulness, and is hence known by the epithet Odysseus the Cunning (mētis, or “cunning intelligence”). He is most famous for the ten eventful years he took to return home after the ten-year Trojan War and his famous Trojan Horse trick. Relatively little is known of Odysseus’s background other than that his paternal grandfather (or step-grandfather) is Arcesius, son of Cephalus and grandson of Aeolus, whilst his maternal grandfather is the thief Autolycus, son of Hermes and Chione. According to The Odyssey, his father is Laertes and his mother Anticleia, although there was a non-Homeric tradition that Sisyphus was his true father. Odysseus is said to have a younger sister, Ctimene, who went to Same to be married and is mentioned by the swineherd Eumaeus, whom she grew up alongside, in Book XV of the Odyssey. Ithaca, an island along the Ionian northwestern coastline of Greece, is one of several islands that would have comprised the realm of Odysseus’s family, but the true extent of the Cephallenian realm and the actual identities of the islands named in Homer’s works are unknown. Homer’s Iliad and Odyssey portrayed Odysseus as a culture hero, but the Romans, who believed themselves the scions of Prince Aeneas of Troy, considered him a villainous falsifier. In Virgil’s Aeneid, he is constantly referred to as “cruel Odysseus” (Latin “dirus Ulixes”) or “deceitful Odysseus” (“pellacis”, “fandi fictor”). Turnus, in Aeneid ix, reproaches the Trojan Ascanius with images of rugged, forthright Latin virtues, declaring (in John Dryden’s translation), “You shall not find the sons of Atreus here, nor need the frauds of sly Ulysses fear.” While the Greeks admired his cunning and deceit, these qualities did not recommend themselves to the Romans who possessed a rigid sense of honour. In Euripides’s tragedy Iphigenia at Aulis, having convinced Agamemnon to consent to the sacrifice of his daughter, Iphigenia, to appease the goddess Artemis, Odysseus facilitates the immolation by telling her mother, Clytemnestra, that the girl is to be wed to Achilles. His attempts to avoid his sacred oath to defend Menelaus and Helen offended Roman notions of duty; the many stratagems and tricks that he employed to get his way offended Roman notions of honour. When Helen was abducted, Menelaus called upon the other suitors to honour their oaths and help him to retrieve her, an attempt that would lead to the Trojan War. Odysseus tried to avoid it by feigning lunacy, as an oracle had prophesied a long-delayed return home for him if he went. He hooked a donkey and an ox to his plough (as they have different stride lengths, hindering the efficiency of the plough) and (some modern sources add) started sowing his fields with salt. Palamedes, at the behest of Menelaus’s brother Agamemnon, sought to disprove Odysseus’s madness, and placed Telemachus, Odysseus’s infant son, in front of the plough. Odysseus veered the plough away from his son, thus exposing his stratagem. Odysseus held a grudge against Palamedes during the war for dragging him away from his home. Odysseus and other envoys of Agamemnon then traveled to Scyros to recruit Achilles because of a prophecy that Troy could not be taken without him. By most accounts, Thetis, Achilles’s mother, disguised the youth as a woman to hide him from the recruiters because an oracle had predicted that Achilles would either live a long, uneventful life or achieve everlasting glory while dying young. Odysseus cleverly discovered which of the women before him was Achilles when the youth stepped forward to examine an array of weapons. Odysseus arranged for the sounding of a battle horn, which prompted Achilles to clutch a weapon; with his disguise foiled, he joined Agamemnon’s army. Odysseus was one of the most influential Greek champions during the Trojan War. Along with Nestor and Idomeneus he was one of the most trusted counsellors and advisers. He always championed the Achaean cause, especially when the king was in question, as in one instance when Thersites spoke against him. When Agamemnon, to test the morale of the Achaeans, announced his intentions to depart Troy, Odysseus restored order to the Greek camp. Later on, after many of the heroes had left the battlefield due to injuries (including Odysseus and Agamemnon), Odysseus once again persuaded Agamemnon not to withdraw. Along with two other envoys, he was chosen in the failed embassy to try to persuade Achilles to return to combat. When Hector proposed a single combat duel, Odysseus was one of the Danaans who reluctantly volunteered to battle him. Telamonian Ajax, however, was the volunteer who eventually did fight Hector. Odysseus aided Diomedes during the successful night operations in order to kill Rhesus, because it had been foretold that if his horses drank from the Scamander river Troy could not be taken. After Patroclus had been slain, it was Odysseus who counselled Achilles to let the Achaean men eat and rest rather than follow his rage-driven desire to go back on the offensive—and kill Trojans—immediately. Eventually (and reluctantly), he consented. During the funeral games for Patroclus, Odysseus became involved in a wrestling match with Telamonian Ajax, as well as a foot race. With the help of the goddess Athena, who favoured him, and despite Apollo’s helping another of the competitors, he won the race and managed to draw the wrestling match, to the surprise of all. Odysseus has traditionally been viewed in the Iliad as Achilles’s antithesis: while Achilles’s anger is all-consuming and of a self-destructive nature, Odysseus is frequently viewed as a man of the mean, renowned for his self-restraint and diplomatic skills. He is more conventionally viewed as the antithesis of Telamonian Ajax (Shakespeare’s “beef-witted” Ajax) because the latter has only brawn to recommend him, while Odysseus is not only ingenious (as evidenced by his idea for the Trojan Horse), but an eloquent speaker, a skill perhaps best demonstrated in the embassy to Achilles in book 9 of the Iliad. And the pair are not only foils in the abstract but often opposed in practice; they have many duels and run-ins (for examples see the next section). When the Achaean ships reached the beach of Troy, no one would jump ashore, since there was an oracle that the first Achaean to jump on Trojan soil would die. Odysseus tossed his shield on the shore and jumped on his shield. He was followed by Protesilaus, who jumped on Trojan soil and later became the first to die. Odysseus never forgave Palamedes for unmasking his feigned madness, leading him to frame him as a traitor. At one point, Odysseus convinced a Trojan captive to write a letter pretending to be from Palamedes. A sum of gold was mentioned to have been sent as a reward for Palamedes’s treachery. Odysseus then killed the prisoner and hid the gold in Palamedes’s tent. He ensured that the letter was found and acquired by Agamemnon, and also gave hints directing the Argives to the gold. This was evidence enough for the Greeks and they had Palamedes stoned to death. Other sources say that Odysseus and Diomedes goaded Palamedes into descending a wall with the prospect of treasure being at the bottom. When Palamedes reached the bottom, the two proceeded to bury him with stones, killing him. When Achilles was slain in battle, it was Odysseus and Telamonian Ajax who successfully retrieved the fallen warrior’s body and armour in the thick of heavy fighting. During the funeral games for Achilles, Odysseus competed once again with Telamonian Ajax. Thetis said that the arms of Achilles would go to the bravest of the Greeks, but only these two warriors dared lay claim to that title. The two Argives became embroiled in a heavy dispute about one another’s merits to receive the reward. The Greeks dithered out of fear in deciding a winner, because they did not want to insult one and have him abandon the war effort. Nestor suggested that they allow the captive Trojans decide the winner. Some accounts disagree, suggesting that the Greeks themselves held a secret vote. In any case, Odysseus was the winner. Enraged and humiliated, Ajax was driven mad by Athena. When he returned to his senses, in shame at how he had slaughtered livestock in his madness, Ajax killed himself by the sword that Hector had given him. Together with Diomedes, Odysseus went to fetch Achilles’ son, Pyrrhus, to come to the aid of the Achaeans, because an oracle had stated that Troy could not be taken without him. A great warrior, Pyrrhus was also called Neoptolemus (Greek: “new warrior”). Upon the success of the mission, Odysseus gave Achilles’ armor to him. It was later learned that the war could not be won without the poisonous arrows of Heracles, which were owned by the abandoned Philoctetes. Odysseus and Diomedes (or, according to some accounts, Odysseus and Neoptolemus) went out to retrieve them. Upon their arrival, Philoctetes (still suffering from the wound) was seen still to be enraged at the Danaans, especially Odysseus, for abandoning him. 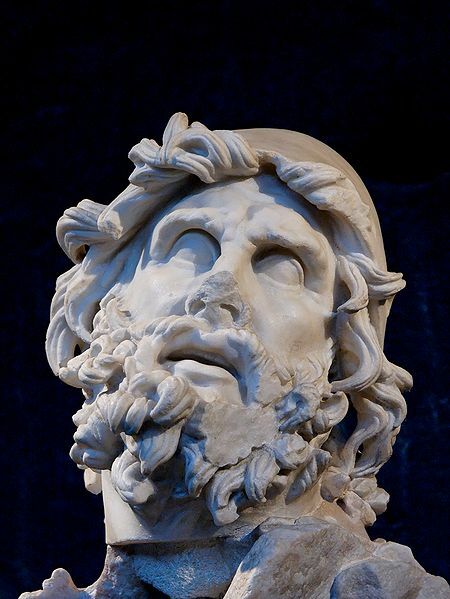 Although his first instinct was to shoot Odysseus, his anger was eventually diffused by Odysseus’s persuasive powers and the influence of the gods. Odysseus returned to the Argive camp with Philoctetes and his arrows. Odysseus and Diomedes would later steal the Palladium that lay within Troy’s walls, for the Greeks were told they could not sack the city without it. Some sources indicate that Odysseus schemed to kill his partner on the way back, but Diomedes thwarted this attempt. Perhaps Odysseus’ most famous contribution to the Greek war effort was devising the strategem of the Trojan Horse, which allowed the Greek army to sneak into Troy under cover of darkness. It was built by Epeius and filled with Greek warriors, led by Odysseus. After Troy was sacked, Odysseus threw Hector’s son Astyanax from the city walls to his death, lest the child reach manhood and avenge his father. Odysseus is probably best known as the eponymous hero of the Odyssey. This epic describes his travails as he tries to return home after the Trojan War and reassert his place as rightful king of Ithaca. On the way home from Troy, After a piratical raid on Ismaros in the land of the Cicones, he and his twelve ships were driven off course by storms. They visited the lethargic Lotus-Eaters and were captured by the Cyclops Polyphemus, only escaping by blinding him with a wooden stake. While they were escaping, however, Odysseus foolishly told Polyphemus his identity, and Polyphemus told his father, Poseidon, who had blinded him. They stayed with Aeolus, the master of the winds; he gave Odysseus a leather bag containing all the winds, except the west wind, a gift that should have ensured a safe return home. However, the sailors foolishly opened the bag while Odysseus slept, thinking that it contained gold. All of the winds flew out and the resulting storm drove the ships back the way they had come, just as Ithaca came into sight. After pleading in vain with Aeolus to help them again, they re-embarked and encountered the cannibalistic Laestrygones. Odysseus’ ship was the only one to escape. He sailed on and visited the witch-goddess Circe. She turned half of his men into swine after feeding them cheese and wine. Hermes warned Odysseus about Circe and gave Odysseus a drug called moly, a resistance to Circe’s magic. Circe, being attracted to Odysseus’ resistance, fell in love with him and released his men. 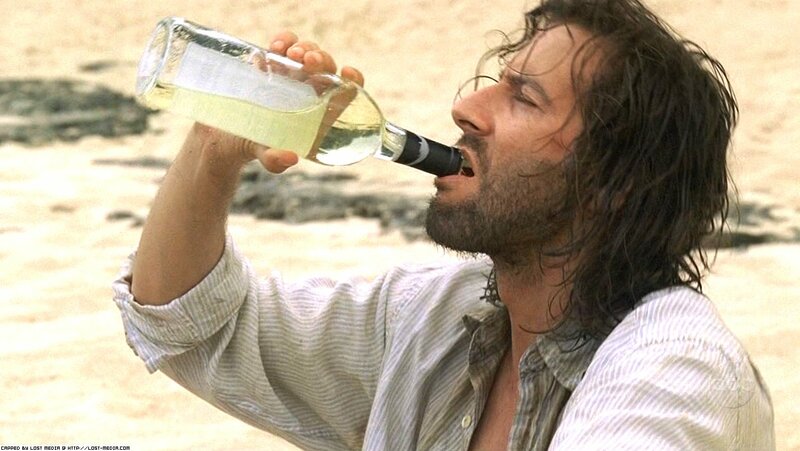 Odysseus and his crew remained with her on the island for one year, while they feasted and drank. 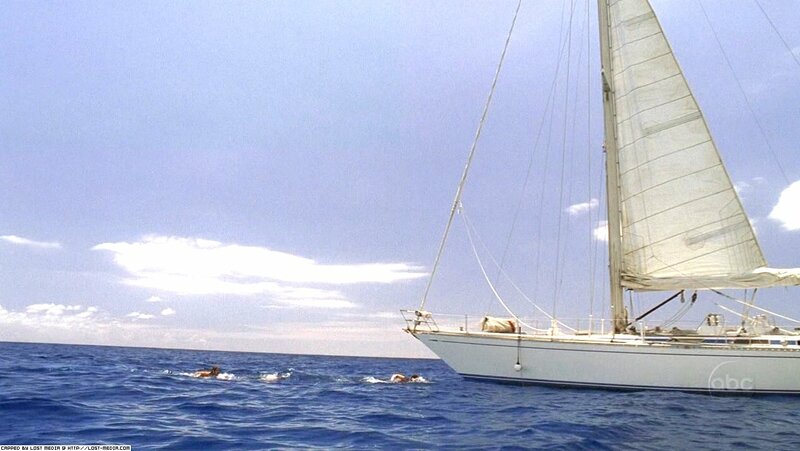 Finally, Odysseus’ men convinced Odysseus that it was time to leave for Ithaca. Guided by Circe’s instructions, Odysseus and his crew crossed the ocean and reached a harbor at the western edge of the world, where Odysseus sacrificed to the dead and summoned the spirit of the old prophet Tiresias to advise him. Next Odysseus met the spirit of his own mother, who had died of grief during his long absence; from her, he learned for the first time news of his own household, threatened by the greed of Penelope’s suitors. Returning to Circe’s island, they were advised by her on the remaining stages of the journey. They skirted the land of the Sirens, passed between the six-headed monster Scylla and the whirlpool Charybdis, and landed on the island of Thrinacia. There, Odysseus’ men ignored the warnings of Tiresias and Circe, and hunted down the sacred cattle of the sun god Helios. This sacrilege was punished by a shipwreck in which all but Odysseus drowned. He was washed ashore on the island of Calypso, where she compelled him to remain as her lover for seven years before he escaped. Odysseus finally escapes and is shipwrecked and befriended by the Phaeacians. After telling them his story, the Phaeacians agree to help Odysseus get home. They deliver him at night, while he is fast asleep, to a hidden harbor on Ithaca. He finds his way to the hut of one of his own former slaves, the swineherd Eumaeus, and also meets up with Telemachus returning from Sparta. Athena disguises Odysseus as a wandering beggar in order to learn how things stand in his household. Odysseus then returns to his own house, still pretending to be a beggar. 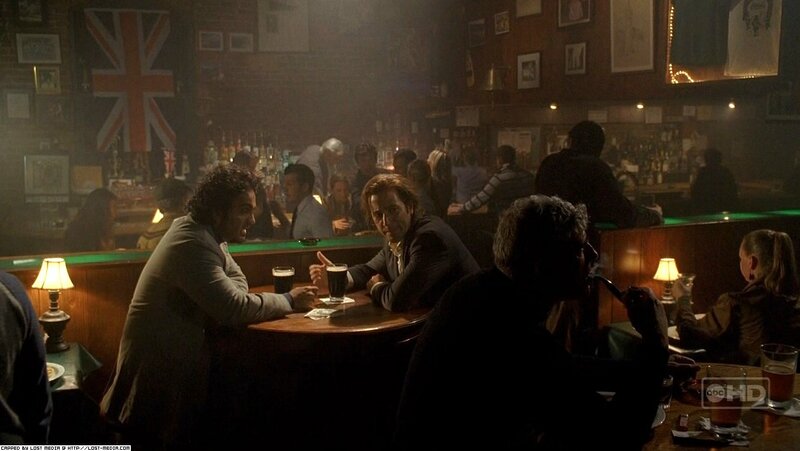 He experiences the suitors’ rowdy behavior and plans their death. He meets Penelope and tests her intentions. 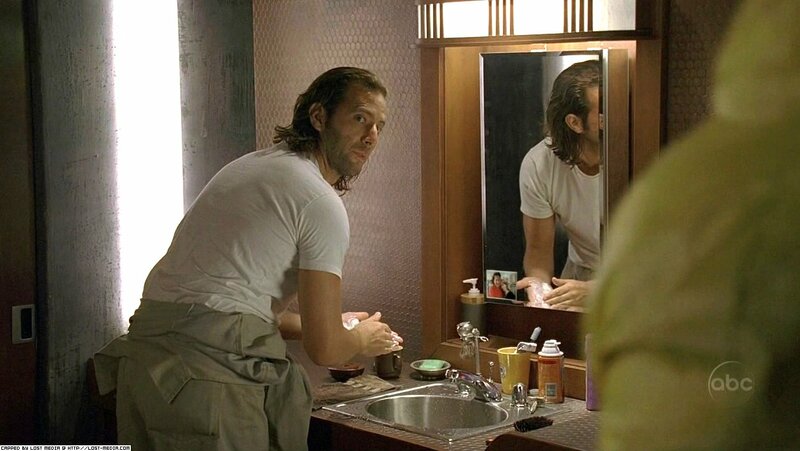 Odysseus’ identity is discovered by the housekeeper, Eurycleia, as she is washing his feet and discovers an old scar Odysseus received during a boar hunt. Odysseus swears her to secrecy, threatening to kill her if she tells anyone. The next day, at Athena’s prompting, Penelope maneuvers the suitors into competing for her hand with an archery competition using Odysseus’ bow. The man who can string the bow and shoot it through a dozen axe heads would win. Odysseus takes part in the competition himself; he alone is strong enough to string the bow and shoot it through the dozen axe heads, making him the winner. He turns his arrows on the suitors and with the help of Athena, Telemachus, Eumaeus and Philoteus the cowherd, all the suitors are killed. Now at last, Odysseus identifies himself to Penelope. The next day he and Telemachus visit the country farm of his old father Laertes. The citizens of Ithaca have followed Odysseus on the road, planning to avenge the killing of the Suitors, their sons. The goddess Athena intervenes and persuades both sides to make peace.